This guide describes the billing structure and process involved in using Ocean services and/or products. Ocean fees are incurred only when you use our services. At the end of each month, an automated process will gather together all the "billable items" (i.e. days of tablet usage, web questionnaires sent, etc.) into an invoice and send it to the "payer" on your account, which you can set in the "Billing" section of the Admin tab of the Ocean Portal. Between the 1st and 15th day of the month, please review the invoice that has been emailed to you and reach out to us at ocean.tips/support or give us a call to raise any concerns about your invoice. The charges are billed on the 15th day of the month. CognisantMD accepts payments from the following credit cards: Visa, MasterCard, and American Express. To enable automatic payments via credit card, sign into the Ocean Portal. Click on your name at the top right and select "View My Account" from the menu options. Navigate to the Billing tab. Click the "Add a Credit Card" button and enter your credit card information. Return to your site's home page and navigate to the the Admin tab. Enter the "Billing" section of the Admin tab (selected from the menu along the left). Confirm that the "Account Payer" at the top is set to your user name. Enter the "Site Account" section of the Admin tab. Add your clinic's billing manager's email to the "Finance Administrator Email" field. If this field is left blank, invoices will only be sent to the site payer's email address. If you prefer to pay by cheque for 6 or 12 months at a time, please review "Can I pre-pay by cheque instead of automatic payments by credit card?". When we receive your prepayment cheque, we will apply "credit" to your account. This credit will be used to pay for whatever Ocean services you use (or have used, if a balance is outstanding). Once your credit runs out, you will start to get monthly invoices again. If this happens, don't panic - simply send us a message at ocean.tips/support to request another prepayment invoice, including the details about what you would like to purchase (e.g. "5 tablets for 12 months"). If you prefer to pay by credit card for 6 or 12 months at a time, please complete the "Prepayment Request Form." Once complete, you will receive a copy of your prepayment invoice via email within 2 business days of your request, which will contain a link to pay the amount by credit card. As per our Ocean Platform Pricing, you have a couple of options to use web questionnaires. Since web questionnaires do not require tablets, the pricing is separate from the tablet subscription licenses, even though the technology is complementary. The pricing options for Patient Messages are described below. This subscription costs $30 per month per user and allows a named user to send unlimited web questionnaires. Note: This price does not include any Ocean Studies fees, should you be running a research study. You can enable Patient Messages yourself. Simply login to the Ocean Portal, navigate to the Admin tab and enter the "Users" section from the menu on the left. From there, check off the "Ocean Online Subscription ($30/month/user)" box next to the user name that you wish to enroll in this subscription. Each Patient Messages subscription allows you to assign one primary delegate user to your Ocean account, who can send out Patient Messages and will be covered by your Ocean Online subscription. To learn how to set up a delegate user on your account, please refer to: "Set A Delegate User for Your Ocean Account". If you have 4 or more FTE (Full Time Equivalent) Ocean users who want to be able to send out Patient Messages, you can take advantage of our Ocean Unlimited Bundle pricing, which costs $25 per month per user (minimum $100 for 4 users) and will also give you access to Patient Group Messages and Patient Reminders. If you are interested an Ocean Unlimited Bundle, please let us know by submitting a request to our support team at ocean.tips/support. The cost is $0.10 per email invitation and $0.40 for each questionnaire completed. We sometimes talk about web questionnaires costing $0.50 each, but it's actually less than that, on average, because some invitations will inevitably go unanswered. The cost is the same even if you have multiple eForms per email for the patient to complete. Note: Again, study fees are not included. You can also use these two pricing options in combination. For example, if somebody at the front desk sends all your intake registration packages to patients, sign them up for a Patient Messages subscription. Doctors and nurses can still send web questionnaires themselves at $0.50 each. 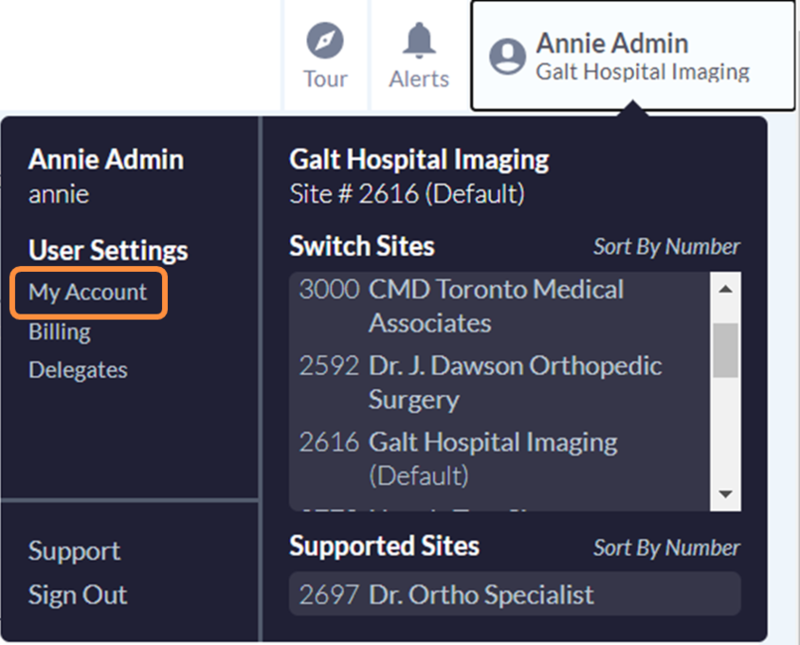 Each Patient Messages subscription allows you to assign one primary delegate user to your Ocean account, who can send out Patient Messages and will be covered by your Patient Messages subscription. To learn how to set up a delegate user on your account, please refer to: "Set A Delegate User for Your Ocean Account". If you have 4 or more FTE (Full Time Equivalent) Ocean users who want to be able to send out Patient Messages to patients, you can take advantage of our Ocean Unlimited Bundle pricing plan, which costs $25 per month per user (minimum $100 for 4 users) and will also give you access to Patient Group Messages and Patient Reminders.